Last wash day I did a relaxer touch-up, it was a great wash day. Even though I added three tablespoon of olive oil my hair felt as if I did not leave enough texture. About mid-week I realized that the lack of texture was due to the hair being blow dried. Oh how far I've come! 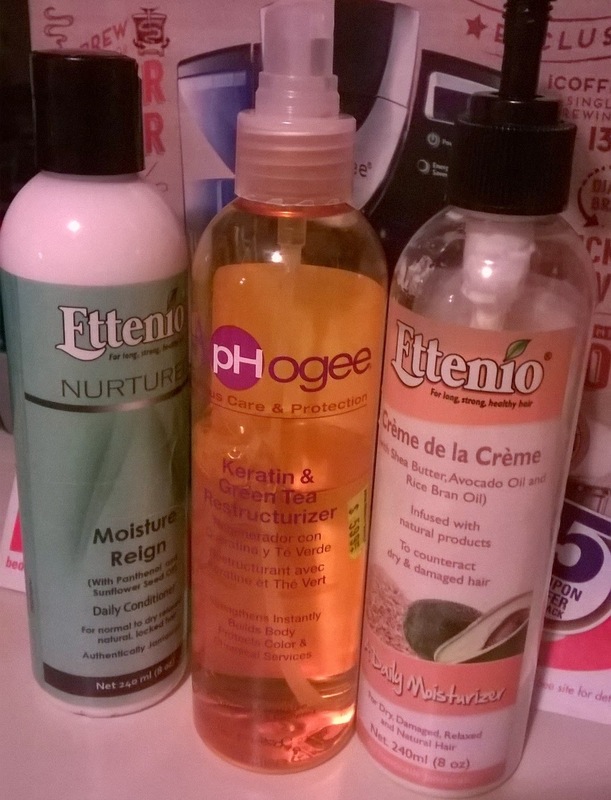 Not too long ago I was relaxing my hair every four weeks to ensure it remained straight. These days I don't like the look and feel of super straight hair. Maybe these feelings are a precursor to me transitioning to natural. Who knows I may get to that point on this journey. This weeks wash day was super easy and I got my nice fluffy and big hair back. Prepoo- Did a hot oil treatment using coconut oil, avocado oil and grapeseed oil under my hood dry for 15 minutes. I then allowed my hair to cool for 30 minutes. Shampoo- Lathered once using Creme of nature sunflower and coconut conditioning detangling shampoo before rinsing with warm water. 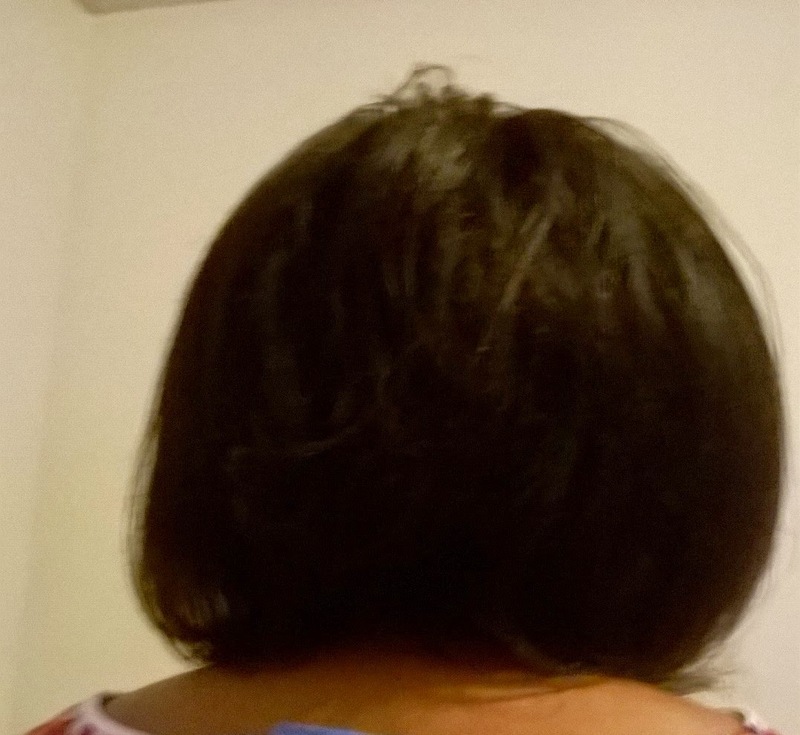 Deep Conditioner- After towel dry to get rid of the excess water, I applied Crecepelo deep conditioner along with a tablespoon of JBCO and sat under my conditioning cap for an hour. Once my hair was cool I rinsed with warm water, followed by cool water. Leave-in and Moisturizer- T-shirt dry for 10 minutes then applied Aphogee keratin and green tea restructurizer and air dry. Divided hair in four sections and applied Ettenio Moisture Reign , Ettenio creme de la creme and OGX coconut milk anti breakage serum to each section before roller setting. Hope you had a great wash day. Awww! I understand how you feel about the bone straight hair business. You might miss it once you become natural too. Who knows? When I took at pictures of me with straight hair---I swear that its my crazy heat loving twin! LOL. I can't even imagine having bone straight hair anymore. 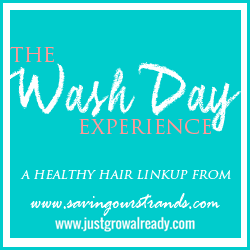 Oh the funny ways we grow on this healthy hair ride! Love the heat crazy twin description. This HHJ is truly take you to places you never thought you'd go. It is also the trend. At the moment it is more trendy with texture. doesn't that always happen with trends? You look back and can't understand how you could put so much effort into looking like that? Texture in the hair is definitely a trend also among Caucasian hair types. Lisa thanks for your insight, yes we are social beings so what's happening in our community will influence us. However, I can guarantee you that, what I like about my hair is based on personal preference not trend. If you follow trend you will have the need to look back and question yourself, but if you answer the question from the beginning you will have not have such need. I don't know how long ago you were relaxing every four weeks, but your hair is looking quite voluminous right now. Your hair looks great! Thanks, I stop relaxing ever four weeks a little over a year ago.